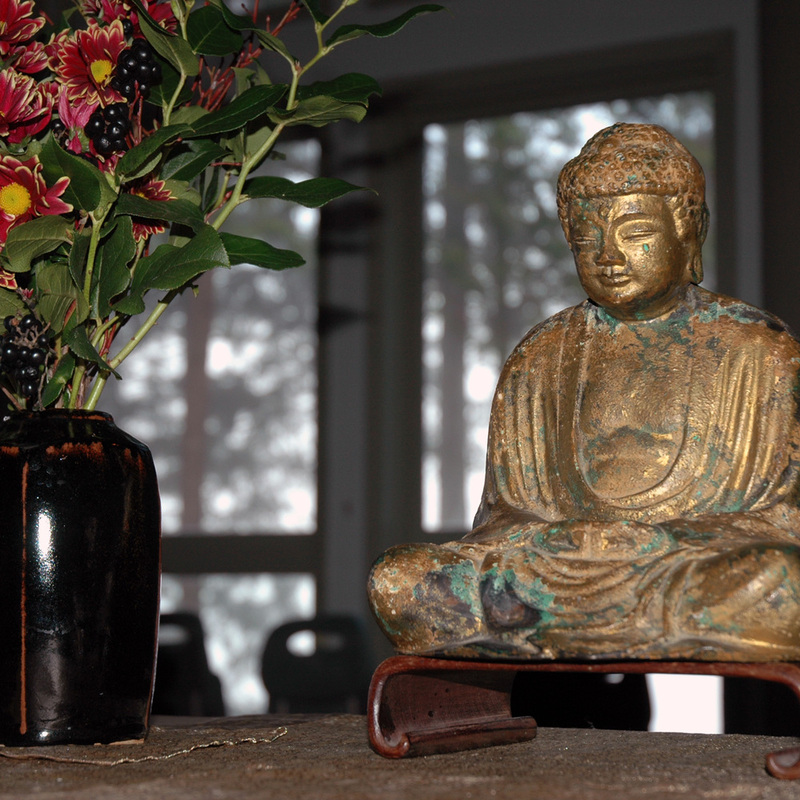 Dharma talk by Myoshin Kate McCandless on "Justice and Compassion." Jukai means literally “receiving the precepts”. It is a ceremony often referred to as lay ordination. In our tradition we prepare for jukai by sewing a rakusu (bib-like small version of a Buddhist monk’s robe) and studying the sixteen bodhisattva precepts. During the ceremony sangha members Kaye Simard and Sara Ross will formally receive the precepts, their rakusu, and a dharma name from Mountain Rain teachers Kate and Michael. Everyone is welcome. Please come out and support Kaye and Sara.